Here are some very gorgeous things that I’ve found recently on etsy, have a look at these really fabulous shops! Click on the store name to enter the shop! 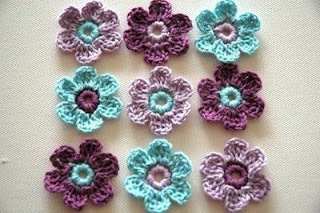 The first shop is AnnieDesign I’m totally in love with all of the beautiful hand crocheted lovelies that this artist creates, and they are very reasonably priced as well, have a look! Next there is one of my Etsy favorites Humblebea This lady is super crafty! Her shop is loaded with a variety of handmade wonderfulness! Including heirloom handbags, pinafores, baby shoes, hair pins and so much more. This shop is truly a must see! 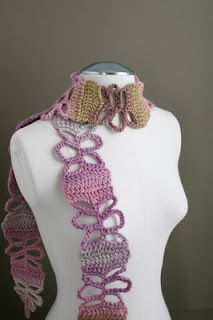 Next there is Fray, in my opinion Etsy’s most fabulous scarf maker. Her lovely hand knitted scarves are absolute works of art! Sarah, the woman behind Fray creates all of her scarves from her own original designs, many of them with a floral theme, such as my personal favorite the blooming vine scarf. If you like hand knitted scarves and cowls which are masterfully done, you need to check out Fray! Oh Cyd, thank you so much for the feature and kind words about my shop. I am truly honored to be featured in your beautiful blog! 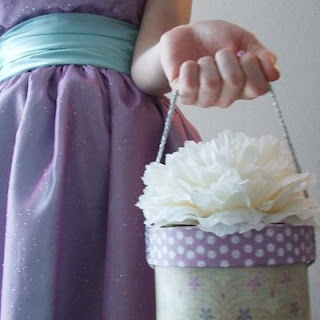 Your blog is looking very lovely and so are the shops you featured.